Last month was very tough for the citizens of the two nuclear states India and Pakistan as both states were on the verge of war. The recent border confrontation led to the Pakistan downing two Indian fighter jets and after that, an Indian submarine tried to enter Pakistan but couldn’t be successful. To cut the story short, there was anger and terror among the people of both countries, During all this time, social media played a vital role and social gurus from both the states promoted war. Keeping in view the worsening situation and increasing tension between India and Pakistan, some people took to social media and shared facts and figures if both states go for war. Soon some actors also took on social media to explain why the war between the two countries is a bad option. Tough Prime Minister Imran Khan kept on telling Indian government that war is not a solution, but the other party remained stubborn. Realizing that there is a dire need to explain to people that war is not a solution Pakistani veteran actors Bushra Ansari and Asma Abbas have come up with a unique idea by launching India-Pakistan Peace Song. The video has been directed by Iqbal Hussain while the poetry has been written by Neelum Ahmad Bashir it has been brilliantly executed by Bushra and Asma. The song titled ‘Humsaye Maa Jaye’ is released to promote peace between two rival nations, India and Pakistan. This song is a voice of most of the citizens of both nations who are not related to government in any way. The song features two actresses one is from India and the other one is from Pakistan. Both are neighbours singing in the kitchen talking about the ongoing hate speech in the media regarding war. 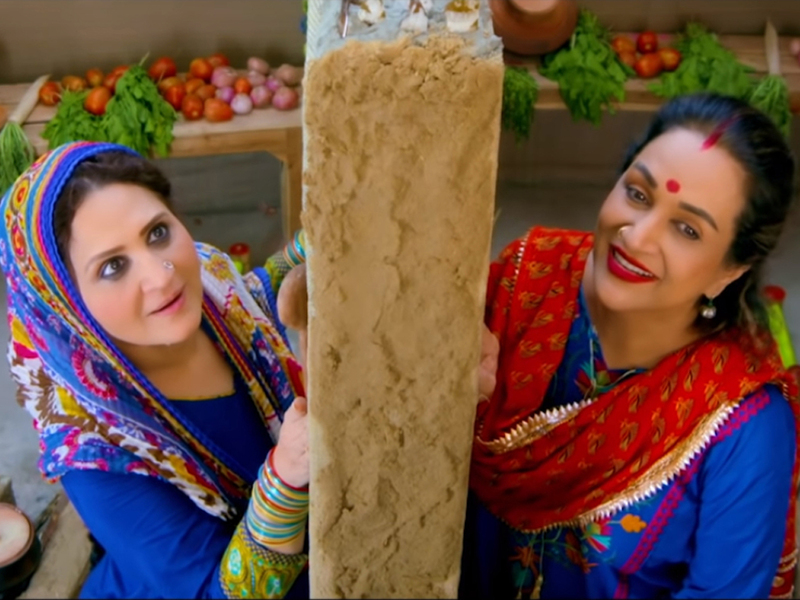 Through Punjabi lyrics, the actresses tried to convince people of both nations to educate their children so that when they grow up they do understand that both the nations are friends and should respect each other’s privacy as a nation. They also give a message that the war is not a game. As both nations are nuclear and the bomb will not leave anyone alive. They ignored the ongoing situation and media terror and decided to enjoy their lives as citizens. This is a very good effort on part of Pakistan’s entertainment industry. This time India should understand that normal people living in their country also do not want war but peace and harmony. As the fear of another military confrontation still looms as elections in India are underway. Hence, continuous efforts to sustain peace is required to maintain relations between the two countries.